Break out the Barbecue - everyone's going to want to have the 4th of July in your new backyard! 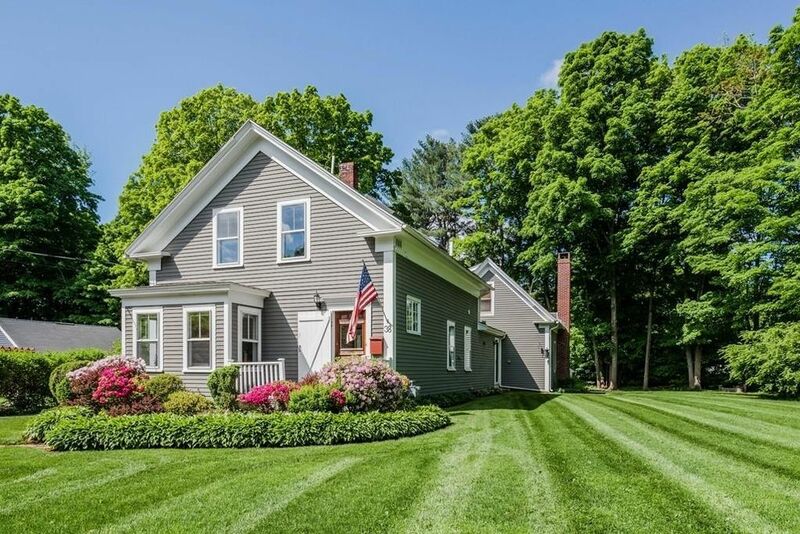 Character and Charm are the essence throughout this Antique village colonial that is conveniently located within walking distance to town center. Meticulously maintained inside and out... manicured outdoor spaces with a fenced vegetable garden and sugar maple trees. The bright and open kitchen is the heart of the home with a walk in pantry, skylights and large limestone breakfast bar & work area. Hardwood pine floors with bright, open clean spaces filled with natural sunlight. First floor has an open floor-plan that flows into family room with wood burning fire place. This home has been redesigned to accommodate modern living while keeping a sense of it's Antique roots. The layout allows for the option of a separate master suite with full bath or in home office set up. This home has been loved and it shows. Showings begin at open house Saturday. Directions: Route 16 or Route 126 to Baker.